Отель Yuzhou Hotel находится в городе Chongqing. 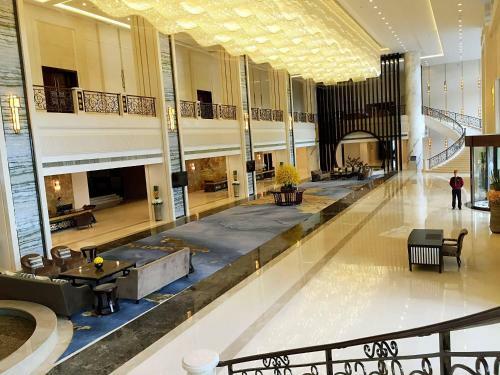 Yuzhou Hotel is a five-star hotel, often used for receiving dignitaries. Free WiFi is accessible in all areas. Free parking is available. Hongyan Village is 1.9 km from Yuzhou Hotel. Yangjiaping Pedestrian Street is 3.2 km away.